Vesna Pavlović’s installation Lost Art continues her “exploration of archives as repositories for personal, social, and institutional memory.” It incorporates elements from and grows out of Pavlović’s earlier Fabrics of Socialism, in which she projects black and white images from the archive of the Museum of Yugoslav History in Belgrade on heavy gray curtains, much like those lining former Yugoslav president Josip Broz Tito’s halls. 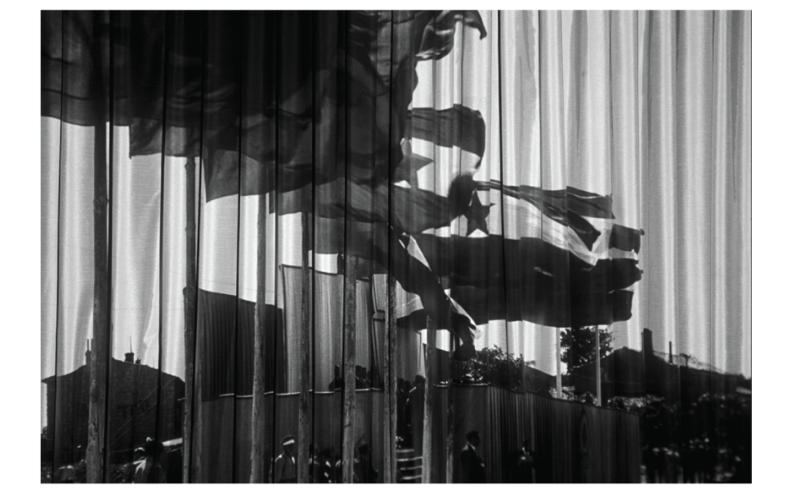 The undulating drapery receiving these projections lend texture and weight to the images, while functioning as a clear metaphor for their distorting effects, like those of memory itself. They also evoke all such “halls of the people” where these particular images were often originally taken or filmed. 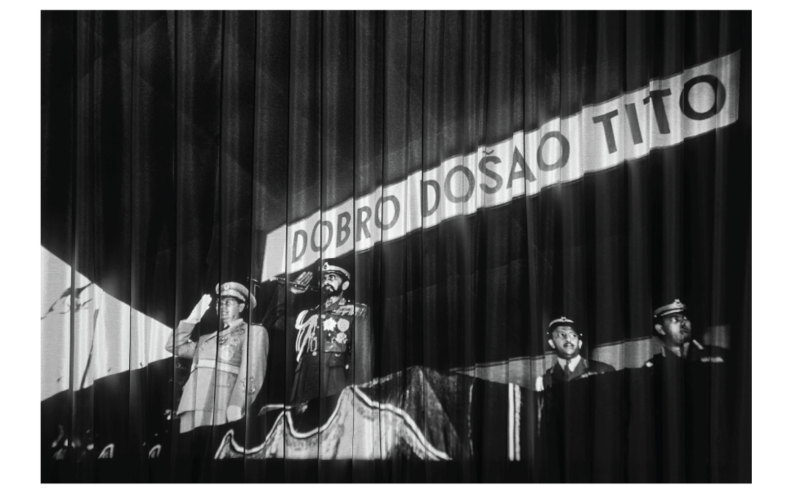 The art of Lost Art is what Pavlović makes of, or reveals, in re-deploying this largely documentary material. In several ways, Lost Art “explores the materiality of obsolescent media, and their evolving relationship with memory in contemporary culture.” Pavlović’s interest in image “archives” goes beyond the accumulated photographic material of institutions or their leaders to encompass those taken and collected by individuals. In the process, she has found evidence of the personal in the archives of a dissolved statist government, and conversely, that of a shared, collective impulse in in the slide accumulations of individuals. The opening of Lost Art will be marked by a “mini-symposium,” and a Community Slide Show will take place as a participatory element of this exhibition at SECCA on January 19th.